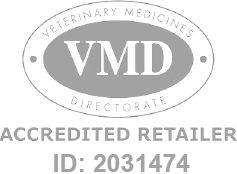 Broadline Spot-On for Medium/Large Cats is an innovative product used in the control and prevention of internal and external parasites in cats. Broadline Spot-On Medium/Large Cat - 6 Pack is a Prescription Only Veterinary Medicine and by law requires a prescription from your vet. Broadline Spot-On for Medium/Large Cats is an innovative product used in the control and prevention of internal and external parasites in cats. In a simple spot-on application, Broadline treats a broad spectrum of parasites, including: fleas; ticks; roundworm; and tapeworm. With its external and internal parasite control, Broadline can also be used as part of a treatment strategy for flea allergy dermatitis (FAD). When applied as directed by your vet, the active ingredients in Broadline, Fipronil and Praziquantel, bring infestations in the skin and fur of your pet under control. It breaks the life cycle of fleas, ensuring your pet is not re-infested and your home is kept flea free. In addition to treating such parasites that live externally, Broadline also treats internal parasites that live inside the body, such as intestinal roundworms and tapeworms. Broadline Spot-On is manufactured by Merial and is developed specifically for cats.